Anonymous donor to support YWCA Literacy Programs with your help! In case it hasn’t been obvious by now, I’m a big fan of reading and writing. I’ve been actively writing short stories, novels, memoir, essays, and poetry since about 1996, and I have been an active reader all my life. 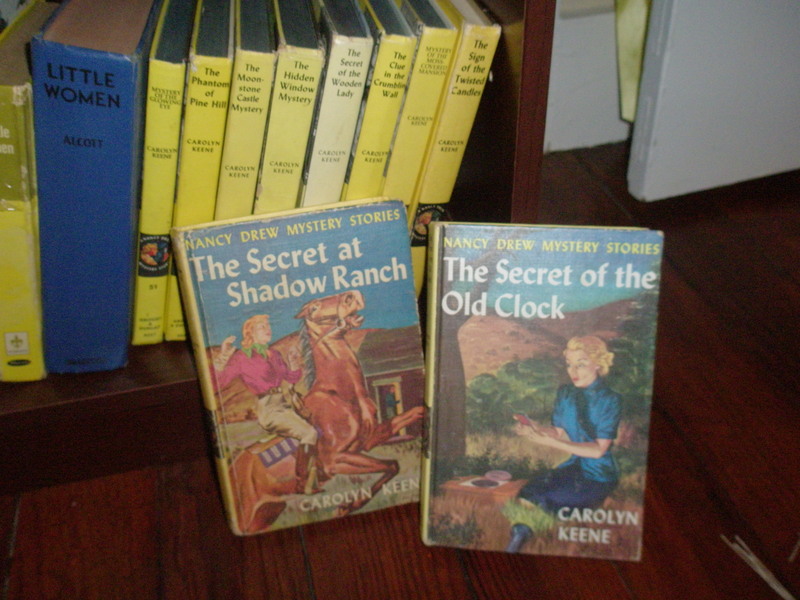 I still keep my Nancy Drew collection close at hand. As a full-fledged adult, though, I’ve been through a Willa Cather phase, a Jack Kerouac phase, a Dawn Powell phase, and an extended journey through American road trip stories. There are tons of them – fiction and nonfiction. Quite recently, I went on a Flannery O’Connor jag and moseyed through The Complete Stories, a National Book Award winner. If I had to recommend just one story for you to read, it would have to be “A Good Man is Hard to Find.” It is taut and chilling. What I love best about getting to know an author’s work is that it always seems to lead me to find out more about their own lives. Understanding where they grew up, what their family life was like, and what made them tick as a human being leads to all sorts of fascinating connections and a better understanding of their writing. For instance, Flannery O’Connor’s Catholicism greatly influenced her work, but she also had some major mother-issues! The mother characters in her stories are usually really irritating and often wind up dead. O’Connor suffered from lupus and lived at home with her mother until her premature death in 1964 at the age of 39. Well, I could go on and on… the thing is, if you, too, have been touched by some great books, please give others in the Pottstown area the chance to experience the same thrill of seeing a story unfold on the page and in their imaginations. Click here, plug in your email and let that anonymous donor give $1 on your behalf to the Pottstown YWCA’s literacy programs. You will be helping to write a great big happy ending for this campaign! Pottsown’s Hanover Square opens new model home this weekend! Celebrate National Small Business Day & “Buy Local” this Saturday!